The first major show of the season is in the rear view mirror and it’s on to St. Paul for the next stop in the home show circuit. 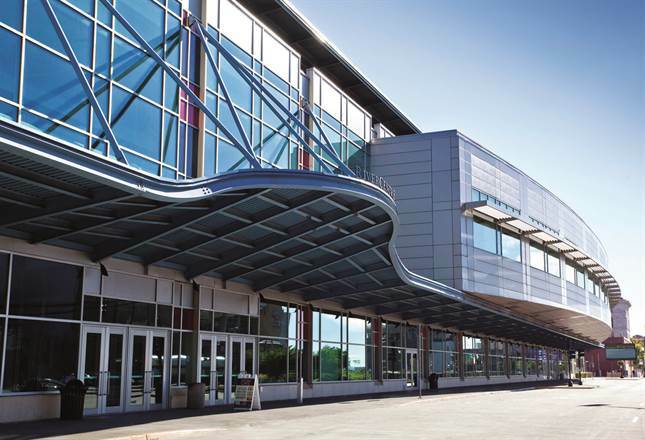 The Minnesota Home & Patio Show is the first home show I exhibited at over 20 years ago and is held in the St. Paul River Center on February 22-25, 2018. Use this link for discounted tickets and stop by and see us at booth # 261 & 261. Whether you’re building your house or getting ready for a remodel, the Minnesota Home & Patio Show has much for you to choose from. From architects and contractors, roofs and shingles, windows and gutters, pools and hot tubs, driveways and the area’s very best landscapers. Daily gardening and home repair seminars will give you the great information you need to get your project done right! So If you missed us last weekend and have a project you want to get off the ground come to the Home & Patio Show and talk to us in person. If seeing us is not enough to bring you down Bobby Jensen, Co-Host of Grow with Kare on the local NBC affiliate Kare 11. will headline a great group of celebrity speakers for 2018. Go to the show website for a daily schedule of gardening and home improvement seminars. ← The Home Show Season is Here!